Tournament officials announce two new events to celebrate the thriving culinary scene of the region. THE COLONY, Texas – The Volunteers of America LPGA Texas Classic announced today its new partnership with Savor Dallas Food and Drink Festival, as part of its LPGA week April 30-May 6 in The Colony, Texas. Savor Dallas will serve as the presenting partner of the tournament’s Tasting Village, extending its programming to The Colony ahead of the 14th annual festival May 13-20. The Tasting Village will be open Friday, May 4 and Saturday, May 5 from 2-6 pm at Old American Golf Club in conjunction with tournament play. “We are thrilled to align the Savor brand with the LPGA Texas Classic and the rich history of the LPGA. Plus, it’s the perfect opportunity to jumpstart our plan to extend Savor programming and events to the thriving culinary communities in Frisco, McKinney, Plano, and The Colony. No matter where you are in North Texas, there are exciting dining options to choose from,” said Kevin Thornburg, General Manager of Savor Dallas Food + Drink Festival. The Tasting Village will shine a spotlight on the best local restaurants and celebrity chefs the region has to offer. Tastes of different local and national craft beer, wine and spirits will also be available for guests 21 and over. Dean Fearing, local celebrity chef and owner of Fearing’s Restaurant at The Ritz-Carlton in Dallas, will serve as a host chef of the Tasting Village. “The culinary scene has exploded in the North Texas region, which is exciting,” states Fearing. “I can’t wait to join other local chefs in serving great food together for this very special event.” Chef Fearing will be serving Carnitas tacos in honor of Cinco de Mayo weekend. Additional participating restaurants include Rock & Brews, Lava Cantina, Fogo De Chao, Whiskey Cake and local brewery Unlawful Assembly Brewing Company, among others. Stay tuned as the full restaurant and brewery lineup is announced. The Volunteers of America LPGA Texas Classic is going on its sixth consecutive year in North Texas but the first year at Old American Golf Club. On April 30-May 6, 144 of the world’s best LPGA professionals will tee it up at Old American Country Club for a chance to be named Champion of the 2018 Volunteers of America LPGA Texas Classic. 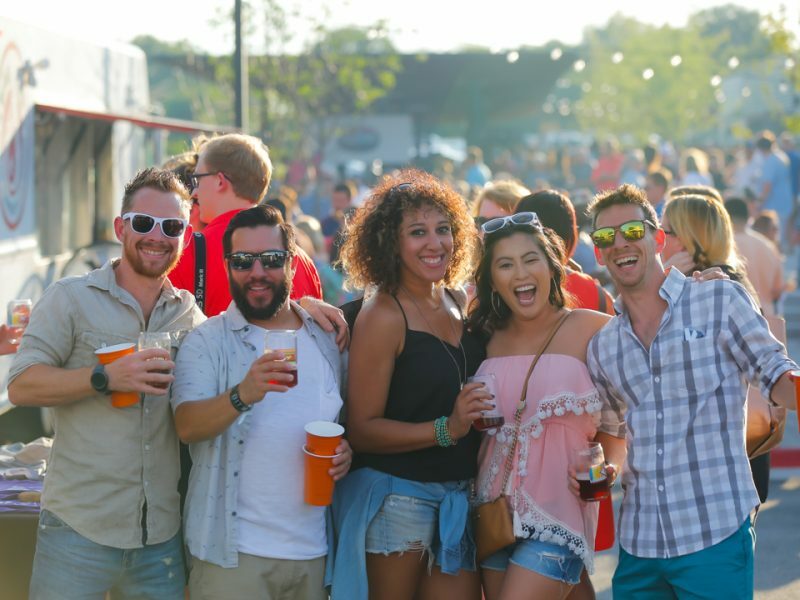 Now in its 14th year, Savor Dallas Food and Drink Festival, presented by VisitDallas, is the region’s ultimate epicurean experience, featuring top chefs, more than 100 restaurants, endless wine and spirits tastings, live entertainment, and more. A portion of the event proceeds benefit Cafe Momentum and The Birthday Party Project.